This past Saturday I was too busy dealing with my two kids, both of them were fighting a serious stomach flu and throwing up all over the house. If that is not enough, my younger son, Isaiah fell and bumped his head and I have to take both of them to Children’s hospital for check up. I was afraid of concussions and wanted to be sure. It turns out children’s are tougher than I thought. Across the ocean in Africa, this past Saturday was a special saturday. Especially if you are a fan of African Union. 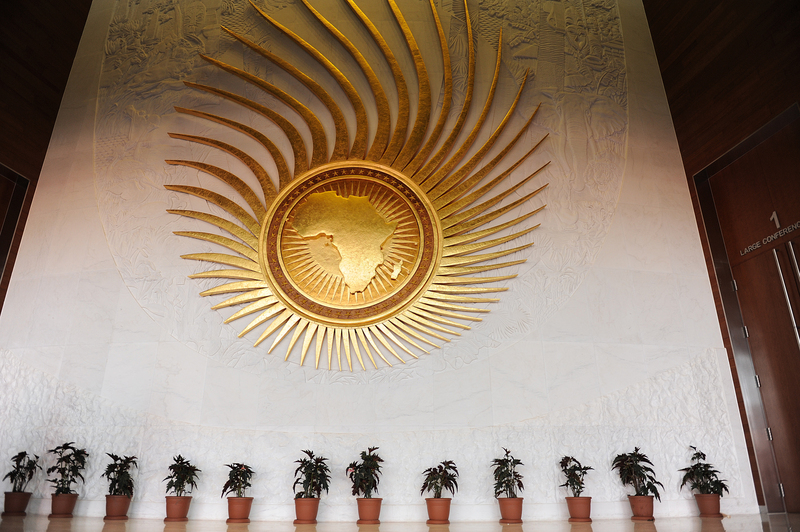 Saturday marked the inauguration of the new African Union building. 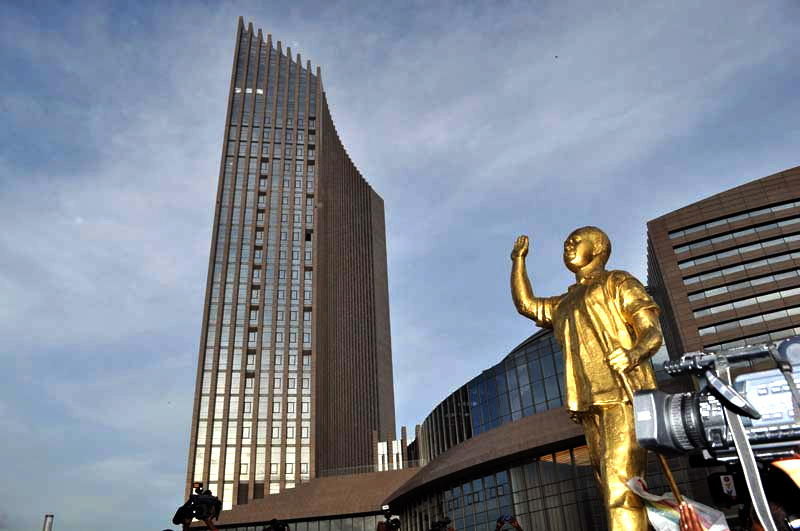 The 100 meter tall, 20 story African Union Conference Center (AUCC) incorporating a 2,500 capacity plenary hall, built by the Chinese government as a gift to Africa. 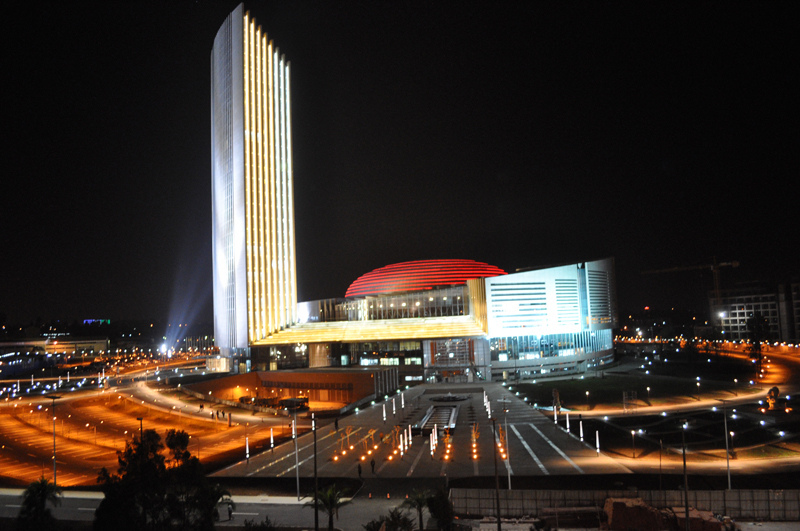 The AUCC was built at a cost of USD200 million and it is the tallest building in Addis Ababa, Ethiopia. The city that hosts the African Union. The modern and fully equipped facility sitting on over 100,000 m2 of land donated by the Ethiopian government represents a historical milestone for the AUC and Africa as it marks the fulfilment of decades old aspirations of African leaders and member states of the African Union. The land was donated by Ethiopian Government. 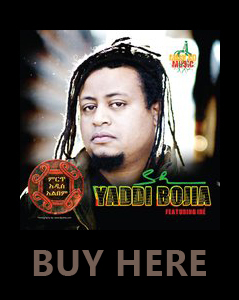 It was a former hight security prison complex right in the heart of Addis Ababa. Ethiopian Government also played a crucial role in letting all the materials needed to build the building tax free and hosting the 350 Chinese workers. With the shiny new building, African leaders also unveiled the statue of Dr Kwame Nkrumah, Ghana’s first President at the forecourt of the new African Union (AU) building. 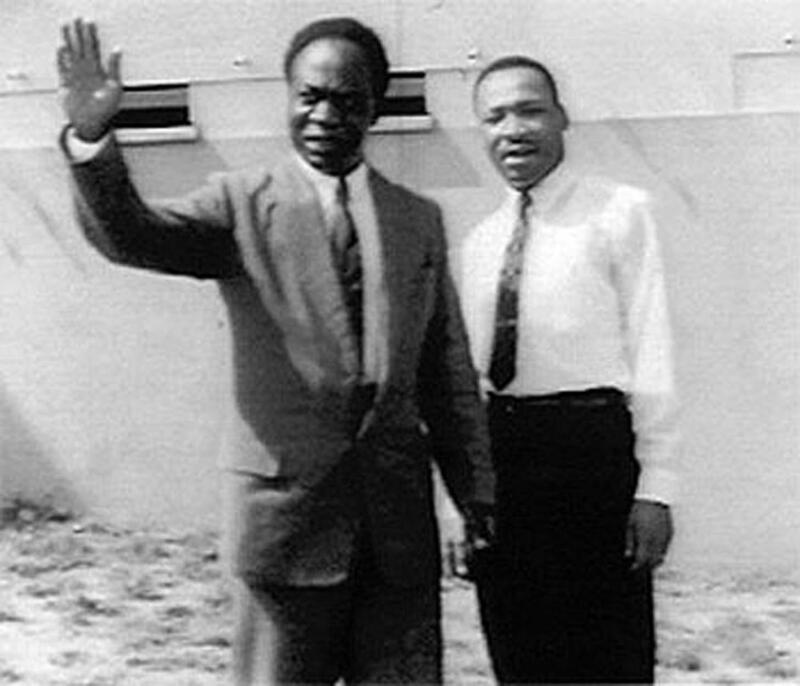 Dr Nkrumah was also founding member of the Organisation of African Unity, now the AU, as well as the Pan Africanist Movement. Cast in bronze, the 3.5 metre statue of Dr Nkrumah who was overthrown in a coup in 1966 depicts the late leader wearing a short sleeve shirt in an African design with a pair of trousers and shoes to match.The first president of Ghana had raised his right hand with a short walking stick in the left hand, with the head raised and looking into the heavens. Underneath the statue is the inscription: “Ethiopia shall stretch forth her hands unto God, Africa must unite,” a statement on the founding of the predecessor of the AU, the Organisation of African Unity in May 1963. So you might ask why this is special? Reading most of the press coverages (which is mostly foreign, US media did not even bother to report it) about this new building and the influence of China in Africa. I am aware of the suspicion and dismissal of the new headquarter as just another sign of African leaders falling under the feet of outside influences like China. One can argue and rightfully so, African’s have to be suspicious of the influence of China. 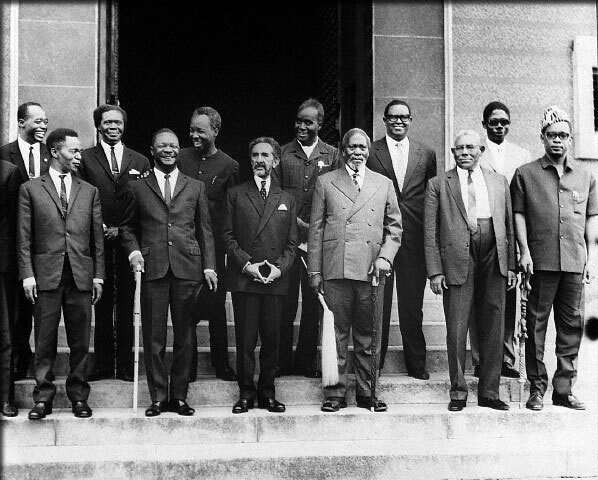 But what makes Saturday special is how far the idea born between a handful of African leaders ( Emperor Haile Selassie, Kwami Nkruma, Jomo Kenyatta…) come to be a 54 country power house that can not be ignored by the powers to be of the world. We Africans lived most of our lives being told that our leaders and political structures are not well developed and that is why we tend to clinch to guns and civil wars rather than round table. 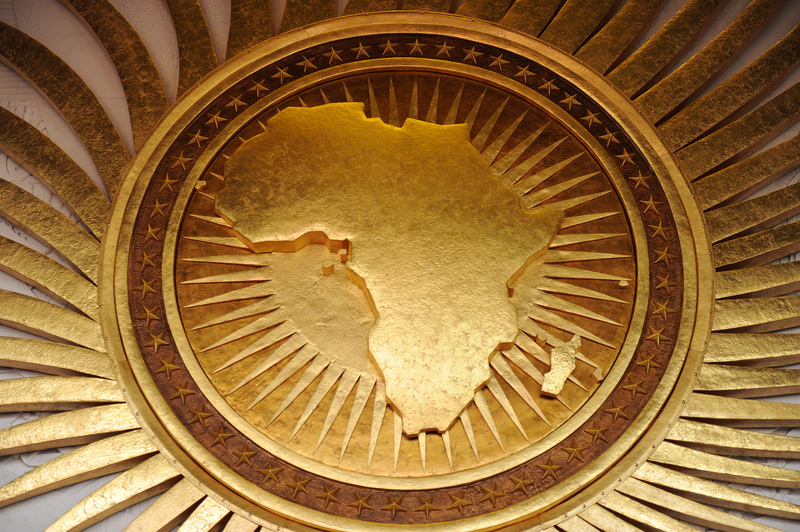 But now when Africa decided to come together to sit in a round table, 54 country strong, the response is, as expected, hesitation and questioning the resource rather than focusing in what this mean to the continent. What is interesting about this is, the first business of the assembly was electing the chairman of African Union Commission. A high-profile and bitterly fought race for the top post in the African Union ended inconclusively on Monday, with neither the incumbent, Jean Ping of Gabon, nor his main challenger, South Africa’s home minister, Nkosazana Dlamini-Zuma, securing enough votes to win. The vote has now been deferred until the next AU summit in Malawi in July. A BBC correspondent says Mr Ping will now remain in office until then. But he will not be allowed to stand for vote at the time. 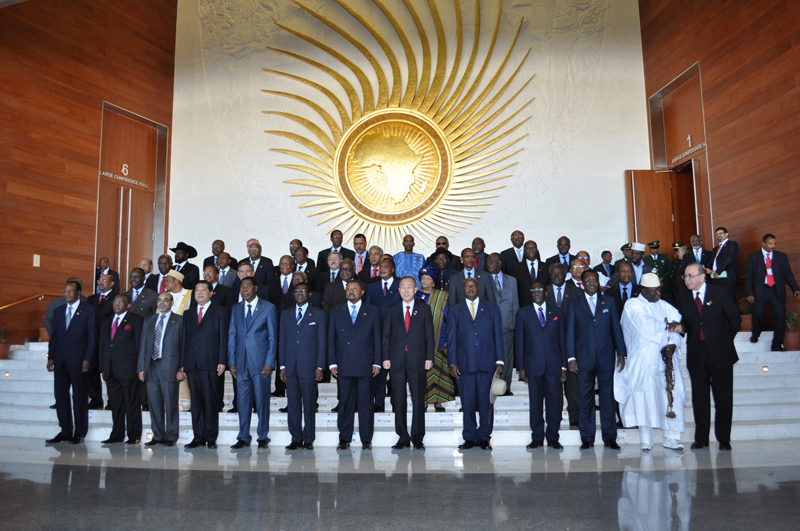 I believe this is a fitting exercise of democracy in the new head quarter of African Union. Finally, It was interesting how the architects used the African Union flag (I designed) in the building. I know Saturday was very hectic and tiring for me but I will remember it for the special time I spent with my two kids In Children’s Hospital ER and for my little contribution to African Union.